Though type 1 and type 2 are both under the “diabetes umbrella,” it does not mean they are one in the same. I have type 1 diabetes, so a vast majority of my posts will be directed to those in the Type 1 community. Here is a post more for those who are dealing with type 2 diabetes. I recently got an e-mail from the American Recall Center asking me to do a blog post about their new website, so I thought I would do a little bit of research. The American Recall Center is a new medical information site aimed at bringing consumers the most up-to-date FDA information in easy to understand, plain language terms. In research, I found that there are no other sites out there with the same mission: to make complicated medical information easy to understand. That’s why I’m so excited about this new endeavor! The American Recall Center is focused on empowering individuals with medical information. They cover a large variety of medical information from prescription and medical device safety, to how maintain a healthy lifestyle. All of their writing is very straightforward and in easy terms, so that everyone can leave with a better understanding of information covered. 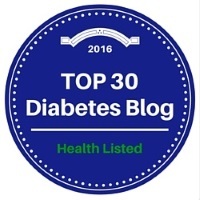 I did a search for “diabetes,” and came up with an article called Understanding Your Diabetes Medication by Debra Gordon. The article was very interesting, and I thought it could help a lot of those who are newly diagnosed with type 2 diabetes…. and I again stress this because Type 1 is not preventable! And Type 1’s can not take oral medication. For those dealing with type 1 and type 2 diabetes, remember, no matter what medications you’re taking, diet and exercise must be a part of your quest to manage your diabetes. But if you’re doing everything right and your blood glucose remains stubbornly high, it’s time to ask your doctor about next steps.